Jack M. Balkin, Free Speech in the Algorithmic Society: Big Data, Private Governance, and New School Speech Regulation, U.C. Davis L. Rev. (forthcoming 2018), available at SSRN. 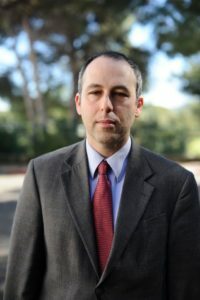 Jack Balkin is one of the leading thinkers and visionaries in the fields of information and cyber law. Every one of his scholarly contributions must be closely read. His recent article, Free Speech in the Algorithmic Society is no exception. It is highly recommended to those interested in fully understanding the current and future tensions between emerging technologies and human rights. The article also provides numerous gems – well-structured statements that eloquently articulate the central challenges of the day, some of which are quoted below. The article starts off by introducing and defining the “Algorithmic Society” as one that “facilitates new forms of surveillance, control, discrimination and manipulation by both government and by private companies.” As before, society is driven by those seeking fame and fortune. However, much has changed. For instance, Balkin lists the four main sources of wealth the digital age brings about as “intellectual property, fame, information security and Big Data.” To achieve such wealth in this society, individuals are subjected to being governed by algorithms. At the same time, firms and governments achieve “practical omniscience”, while not only knowing what is happening but often accurately predicting what will happen next. These enhanced abilities, Balkin warns, lead to power asymmetries between groups of people (and not only between individuals and technologies) and generate several substantial challenges. The article follows Balkin’s earlier scholarship which addressed the changing role of free speech doctrines and the First Amendment in the digital age, and the way they apply to the Internet titans. Indeed, Balkin explains that the central constitutional questions of this age will be those related to free speech and freedom of expression. The “Frightful Five” (and any future giants that might emerge) will cry for free speech protection to fend off intervention in their platforms and business models. Yet, at the same time, they will shrug off claims that they must comply with free speech norms themselves, while noting that they are merely private parties to whom these arguments do not pertain. Continuing this line of scholarship, “Free Speech in the Algorithmic Society” introduces a rich discussion, which spans across several key topics, starting with the rise of “information fiduciaries”. These, Balkin defines, should include digital entities, which collect vast amounts of personal data about their users yet offer very limited insights as to their internal operations. Naturally, this definition includes leading search engines and social media platforms. Balkin concludes that information fiduciaries should be subjected to some of the duties classic fiduciaries were subjected to. To summarize their central obligation, Balkin states that they must not “act like con artists – inducing trust in their end users to obtain personal information and then betraying end users…”. Clearly, articulating this powerful obligation in “legalese” will prove to be a challenge. The article also introduces the notion of “algorithmic nuisance”. This concept is important when addressing entities that have not entered a contractual relationship with individuals, yet can potentially negatively impact them. Balkin explains that these entities rely on algorithmic processes to make judgments about individuals at important and even crucial junctures. Such reliance – when extensive – inflicts costs and side effects on those subjected to the judgment. This is especially true of individuals singled out as risky, due to error. Balkin explains such individuals may be subjected to discrimination and manipulation. Furthermore, some people will be pressured to “conform their lives to the requirements of the algorithm,” thus undermining their personal autonomy. To limit these problems, Balkin suggests that such “nuisance” be treated as other forms of nuisances in public and private law, while drawing an interesting comparison to pollution and environmental challenges. As with pollution, Balkin suggests that those causing algorithmic nuisance be forced to “internalize the costs they shift onto others”. Balkin moves on to apply the concepts of “information fiduciaries” and “algorithmic nuisance” to practical examples such as smart appliances and personal robots. The article’s next central point pertains to “New School Speech Regulation.” By this, Balkin refers to the dominant measures for curtailing speech in the digital age. As opposed to previous forms of speech regulation which addressed the actual speaker, today’s measures focus on dominant digital intermediaries, which control the flow of information to and from users. Balkin explains that regulating such entities is now “attractive to nation states” and goes on to detail the various ways this could be done. It should be noted that the analysis is quite U.S.-specific. Outside the U.S., nations are often frustrated by their inability to regulate the powerful (often U.S.-based) online intermediaries, and therefore the analysis of this issue is substantially different. Beyond the actions of the state, Balkin points out that these online intermediaries, at their discretion, may take down materials which they consider abusive and violate their policies. Balkin notes that users “resent” the fact that the criteria are at times hidden and the measures applied arbitrarily. Yet these steps are often welcomed by users. At times, these steps might even prove efficient (to borrow from the outcomes of some analyses examining the actions of the company towns of previous decades– see my discussion here). Furthermore, relying on broad language to take assumedly arbitrary actions allows firms to punish “bad actors” whose actions are clearly frowned upon by the crowd, yet cannot be easily tied to an existing prohibition (if merely a detailed list of forbidden actions is strictly relied upon)– an important right to retain in an ever-changing digital environment. What can be done to limit the concerns here noted? Balkin does not believe these problems can solve themselves via market forces. He explains that individuals are limited to signaling their discontent with their “voice,” rather than by “exiting” (using the terminology introduced by Hirschman) – and the power of their voice is quite limited. It should be noted that some other forms of limited signaling might still unfold, such as reducing activity within a digital platform. Yet it is possible that such signaling will still prove insufficient. Rather than relying on markets or calling on regulators to resolve these matters, Balkin argues that change must come from within the companies themselves – by them understanding that they are now entities with obligations to promote free speech on a global level. One can only hope that this wish will be fulfilled. Reading this article and spreading its vision, with hope that it would make its way to the leaders of today’s technology giants, will certainly prove to be an important step forward. Cite as: Tal Zarsky, Governing The New Governors and Their Speech, JOTWELL (February 13, 2018) (reviewing Jack M. Balkin, Free Speech in the Algorithmic Society: Big Data, Private Governance, and New School Speech Regulation, U.C. Davis L. Rev. (forthcoming 2018), available at SSRN), https://cyber.jotwell.com/governing-new-governors-speech/.